If you want to dress in a durable and practical work jumper, you will find a wide selection of work jumpers for all industries at MASCOT. They are usable all year round and can be used in many contexts, both separately and together with other work clothes. MASCOT has work jumpers in different styles, colours and with different features so you are guaranteed to find a jumper that goes with your additional work clothes. In the assortment, you will find both sweatshirts, hoodies, fleece jumpers, hi-vis jumpers and knitted jumpers in many varieties. The work jumpers are available in both classic and more fashionable colours, which can easily be combined with the additional workwear from MASCOT. The assortment also includes two-toned jumpers and jumpers with trendy prints, if you want a more distinctive expression. You can choose from many different styles with just the properties and features you want. The work jumpers have various practical and spacious pockets, i.e. chest pockets, front pockets and inner pockets, for storage of tools, mobile phone and other equipment. You will also find work jumpers with hoods, adjustable collars and zippers, among others, so you are guaranteed to find a variant that fits your working needs. With many of the MASCOT work jumpers, printing or embroidery of company logo and employee name is possible. 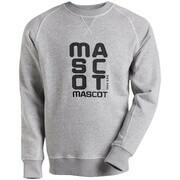 The MASCOT work jumpers give you very good comfort and great freedom of movement. You will find jumpers of stretch material that are flexible and elastic, and therefore they do not hinder you in carrying out your work. The jumpers are available in a regular fit that follows the body's natural shape without fitting to tightly. This gives you great freedom of movement so you can work unhindered. 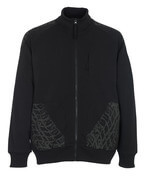 The work jumpers are produced in durable materials that give the jumpers a long service life. MASCOT also offers work jumpers for the ones who have a job with extra high requirements for safety workwear. Here you will find work jumpers of fluorescent materials and with multi-protective properties so you can safely concentrate on your tasks.